Let’s talk about what we have coming up at the Steakhouse. First, get your reservations in early for Easter. We’ll update the site when we finalize the menu or specials. Just a reminder in case you’ve been busy, Easter is on April 21. Next, we have a mid-week special going on right now offering a queen cut of Prime Rib for just $19.95. That is $10 off our regular price. This special only runs on Tuesday, Wednesday, or Thursday. Our hours during the week are 4 – 9. 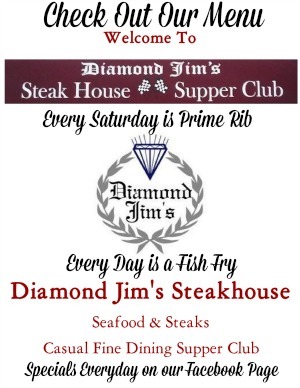 Our regular Prime Rib Special runs on Saturday from 4 pm to 10 pm. We offer a King cut for $34.95 and a Queen cut for $29.95. Check and like our Facebook page for an update on specials every day. 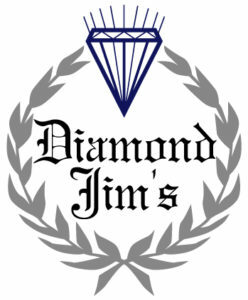 You can get to it through this link here: Diamond Jim’s Steakhouse Facebook Page. Coming up on May 12th is our traditional Mothers Day feast. Treat Mom to a hassle-free delicious meal she doesn’t have to shop for, cook, or clean up after. Need a place to host your party or event? We have a separate party room. 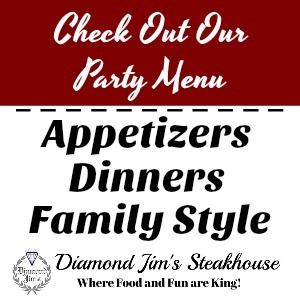 Click here to check out our party menu. 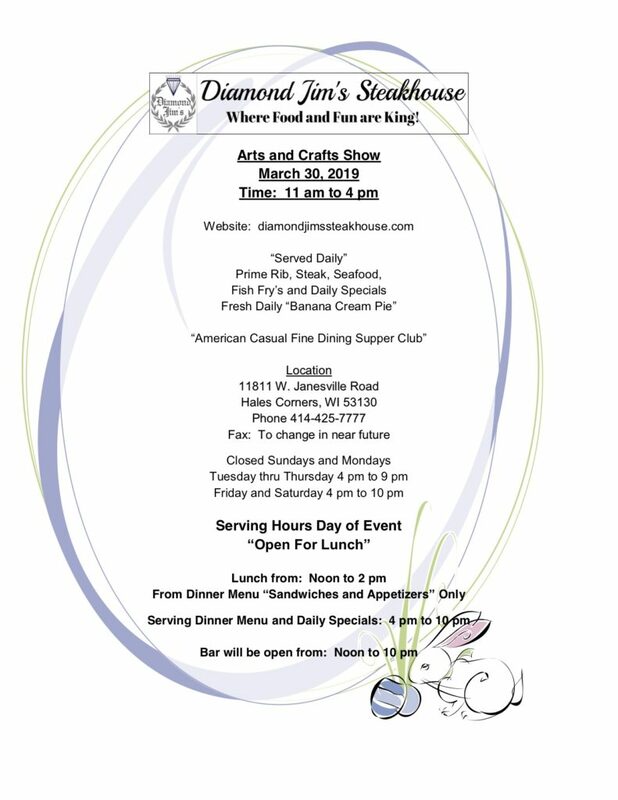 Check Out the Arts and Crafts show. We are located just outside beautiful downtown Hales Corners on West Janesville Road. Please call for reservations.